CallMiner, the leading platform provider of award-winning speech and customer engagement analytics, announced recently at Five9 CX Summit that Sekure Merchant Solutions is seeing early success in its implementation of CallMiner Eureka as its speech and engagement analytics solution. CallMiner Eureka is provided to Sekure Merchant Solutions through their cloud contact center provider Five9, a CallMiner reseller. Sekure Merchant Solutions is a leader in credit card processing sales, service, and support. They sought to improve quality management and sales effectiveness, as well as decrease agent attrition within their contact center with speech analytics. After reviewing vendor options, Sekure engaged in a free Test Drive with CallMiner via Five9 to understand the insights they could uncover with CallMiner Eureka. The Test Drive revealed how agents were handling sales pitches and rebuttals. Automated scoring also identified and prioritized opportunities for agent training. Sekure Merchant Solutions selected CallMiner Eureka for the data-driven insight available from 100% monitoring of agent interactions for automated quality management and sales training. 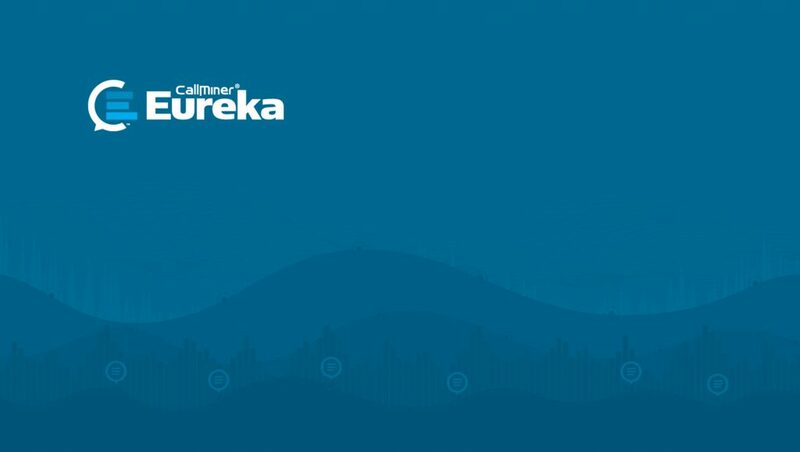 Eureka will help Sekure Merchant Solutions identify opportunities to increase contact center efficiency by uncovering excessive silence, reducing manual call categorization, and tracking barriers to first call resolution. For sales conversions, Eureka will measure the effectiveness of sales pitches, analyze when agents are selling and the result, and monitor behaviors in missed sales conversions. CallMiner is a Gold sponsor of Five9 Summit and will be hosting a roundtable lunch on May 15th at 12:00 to discuss how people and process ignite ROI with speech analytics technology, as well as a breakout session titled Automating Agent Performance through Analytics to Optimize the Customer Experience on May 15th at 1:00. Please join the sessions or visit the CallMiner booth to learn more about customer success with speech analytics.